Let’s talk about patience. The slow and steady, in between, enjoying the journey, patience. Our stove—our beautiful 1950s wedgwood, stove of my dreams—currently is not working. In the meantime, we have been using a single-burner-induction cooktop. Half of the kitchen walls have yet to be tiled. there are little nooks and splotches and baseboards scattered all through the house, yet to be painted. No, the cabinets are not intentional open-shelving, the doors are down in the basement waiting to be hung. There is a glass-paned vintage door in the garage we will be putting in that door frame, but in the meantime, we use a baby gate. Under the sink, we need custom fit doors, or a cute little sink skirt, I haven’t quite decided. It would be convenient for all of this to be finished...but, then, we would rush to the next task, the next project. What about in between? What about being content? What about knowing where you want to be, and knowing it’s not here, but believing you’re here for a reason? It is in the quiet, the stillness, that growth happens, isn’t it? It would be convenient for all of this to be finished...but, then, we would rush to the next task, the next project. What about in between? What about being content? What about knowing where you want to be, and knowing it’s not here, but believing you’re here for a reason? I am grateful for this house, this home. The little spot under the sink, uncovered, that the girls climb in and out, at my feet as I wash and dry the dishes. I am grateful for the baby gate Hadley peeks over singing ,“Daddy’s home!” as David puts his bike in the garage, arriving from work. I am grateful for our single burner induction cooktop, how it has taught me to be even more intentional—conscious— about our food choices, portion sizes, leftovers. 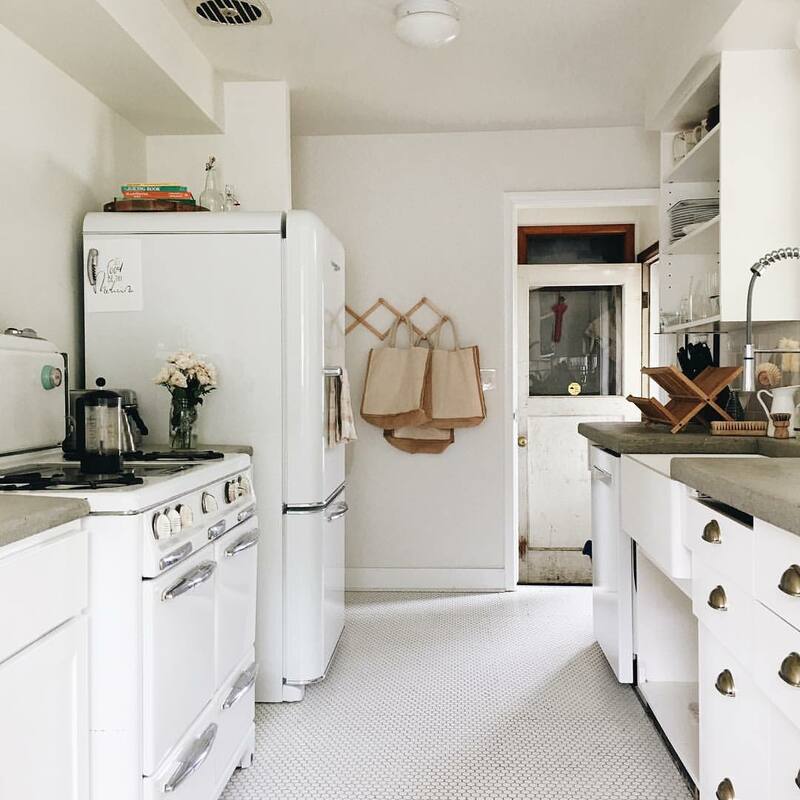 I am grateful for the light that pours into this kitchen, as I sip my coffee in the morning. But most of all, I am grateful for growth. I am very much beginning to believe that life isn’t about getting from A to B. But rather, basking in between. Soaking up the most mundane moments, relishing them, savoring them as magic. Even—no, especially—the un-aesthetically pleasing moments. The changing of the diapers, the temper tantrums, the piles of laundry, tangles in the hair, the unfinished basement, the not yet tiled walls. The beauty, the growth, the magic lies in between.